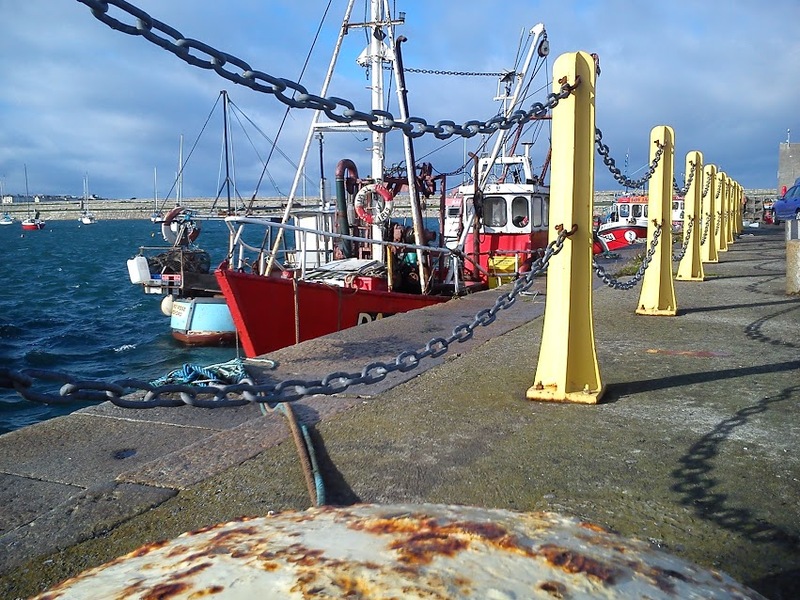 The Marine Institute has developed a new online application to help the fishing industry identify areas with consistent catch rates over multiple years. This app can be used by fishermen to avoid areas with high catch rates of choke species and juvenile commercial fish. The Mapping Application is available here. As part of DiscardLess, a project funded by the EU’s Horizon 2020 Programme, the Marine Institute has been working with partners from 12 countries to develop strategies for the gradual elimination of discards in European fisheries. With the introduction of the Landing Obligation in the EU Common Fisheries Policy much emphasis has been placed on the use of selective gear technology to reduce unwanted catches. Gear technology solutions can contribute in helping to avoid catches of choke species and juvenile commercial fish. Knowing when and where unwanted catches might be expected and avoiding these areas could also be key. Researchers from the Marine Institute have been developing mapping techniques to identify consistent patterns in catches on Irish fishing grounds. 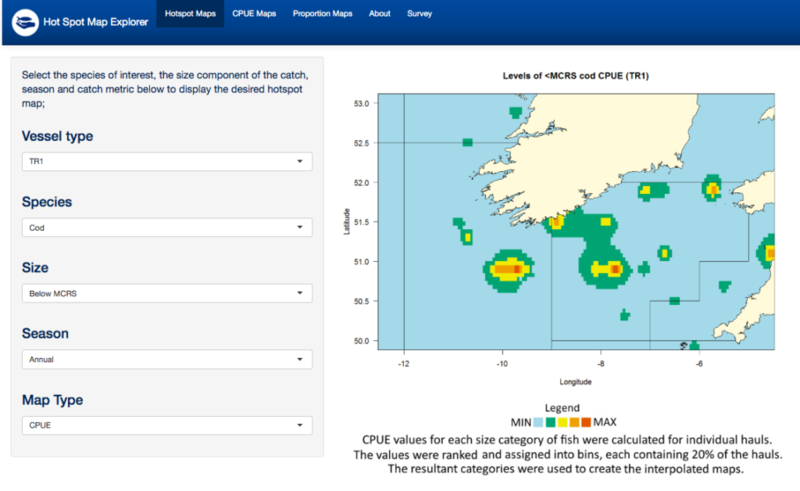 Using observer data collected from Irish, French and UK fishing vessels operating in the Celtic Sea, maps have been produced for all TAC species, identifying where fish are regularly caught over multiple years. To make this information available to anyone who may be interested in catch patterns in this area the maps have been loaded into a web-based application that is freely accessible. Within this application individual maps per species can be viewed based on vessel category, season, and size of the catches (both below and above minimum conservation reference size). There is also the option to add layers from multiple maps onto a single base map so that catches of different species in one area can be compared, to see where they are most likely to overlap and determine how they interact with each other. The Mapping App This tool could help avoiding unwanted catches through spatial avoidance. This interactive technology provides a great platform to provide tailor-made information relevant to each individual, highlighting what is of most interest to them. Modelling exercises have also indicated that by using the information contained within these maps, fishing opportunities could be extended under the Landing Obligation by maximising on catches of commercially important species whilst minimising catches of choke species. Both the app and results from this modelling were presented at the Landing Obligation in Focus meeting, hosted by BIM in Páirc Uí Chaoimh in November last year, receiving a positive reaction from both industry and policymakers. While much of the information contained within these maps will be familiar to those regularly fishing in these areas, it is envisaged that this tool could act as an additional resource to assist in avoiding unwanted catches through spatial avoidance. 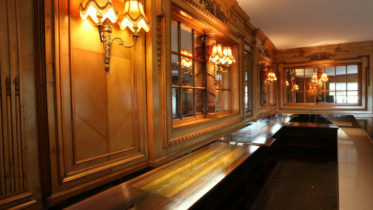 Whilst the tool is available to use now it is hoped that it can be developed further to best meet the needs of industry and provide information that is easily digestible and ultimately useful. This may include extending the maps to encompass other areas, including additional species of interest, changing the layout to improve the user experience and adding additional information such as quota availability in each area, amongst many other possible improvements. As part of this development, users of the app are currently being asked to provide feedback via a short online questionnaire that is contained within the app. The Mapping Application & Questionnaire is available here. Any further queries or feedback regarding this app can be directed to Julia.calderwood@marine.ie.